OTTAWA - It turns out the little Ontario boy who's been having trouble boarding airplanes is far from alone. The whirlwind of publicity about six-year-old Syed Adam Ahmed's difficulty at the airport has prompted dozens of other families with similar stories to contact Khadija Cajee, the boy's mother. Public Safety Minister Ralph Goodale promised to investigate after Adam's father, Sulemaan Ahmed, tweeted a photo from Toronto's international airport that appeared to show the boy's name with a "DHP" or "deemed high profile" label and instructions on how to proceed before allowing the youngster to check in. Tales of other children with the same sorts of travel challenges soon emerged. And now Adam's mother has become an unofficial liaison with the Liberal government on behalf of many families. "When they saw this in the media, they contacted us," said Cajee, who lives in Markham, Ont. "Because I guess they were surprised and happy to know they were not the only ones." "They've never been denied boarding, but they've all had some level of delay and inconvenience," Cajee said. "Some of them have actually missed flights because of this." After Adam's case hit the headlines, Goodale said his officials had reminded airlines they don't need to vet children against Canada's no-fly list. In addition, Goodale indicated the no-fly regime - officially known as the Passenger Protect Program - would be examined during broad public consultations on Canada's overall security framework. In a statement at the time, Adam's parents welcomed Goodale's announcement, saying he "addressed several key points that we asked for." Since then, Cajee has sent followup queries to the family's MP - Health Minister Jane Philpott - and the ministers of public safety, transport and foreign affairs. "Honestly, I think we have more questions now than we did before," Cajee said. However, it's difficult to understand exactly why he and the other young travellers have been stopped at the airport, in part due to the quiet use of U.S. air-security lists in Canada. "But it can have a spillover effect that is very difficult to manage. We'll obviously look at that in the process of the consultation that we're going to undertake with the airlines and with the general public. It's just critically important to get this balance right." 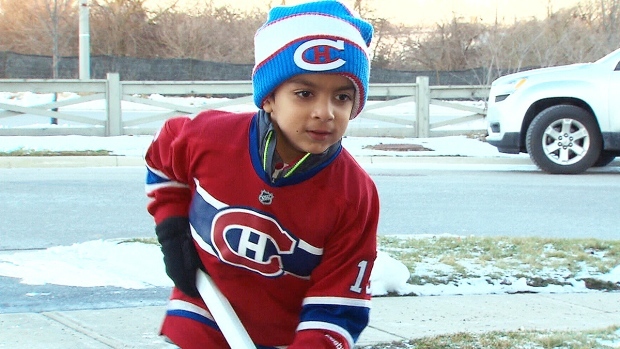 Meantime, Adam is slated to fly to Edmonton in March, the boy's mother said. "So we'll see what happens."